Purchasing OWNER insurance is a no-brainer when you buy an investment property — but despite offering greater protection than homeowners insurance, it doesn’t shield you from all liability on your property. You can, however, increase the coverage on your rental and lower your costs in the long run — without adding to your own expenses — by requiring your residents to purchase renters insurance prior to moving into your property. Why does it matter if my renter’s belongings are covered? Renters insurance goes beyond just recouping resident losses in case of a fire, flood or burglary — it also includes liability coverage if guests injure themselves on your property. If there are damages to your property after move-out, you can go after the renters insurance to recover your losses instead of entangling yourself in a lengthy tenant dispute. 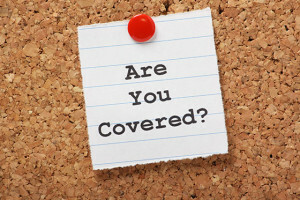 Can I require my residents to purchase coverage? Yes, you can legally require residents to buy renters insurance, but only if that rule is uniformly applied to all residents. Make sure to include renters insurance as a stipulation in your rental contract. How does renters insurance lower my costs? Think of renters insurance as another line of defense in the case of an emergency. Financial tensions can run high when there’s major damage from an apartment flood or fire and your residents have lost personal property, need to store belongings, or need a temporary place to stay. If your resident has renters insurance, all of those costs will be covered under their plan — this keeps your premium lower by reducing the claims on your landlord insurance and also helps you avoid potentially costly legal fees. Your residents can obtain renters insurance coverage for around fifteen dollars per month, on average. In addition to covering their belongings inside the unit, their insurance also protects against the loss of personal property in their car or while traveling. Educate residents about the benefits renters insurance will offer them. How will I know if my renters are maintaining their policy? Make sure residents aren’t purchasing renters insurance and then canceling the policy once you’ve verified it. You can request to be listed as an Additional Insured on their policy, which will notify you if there is a cancellation or renewal.